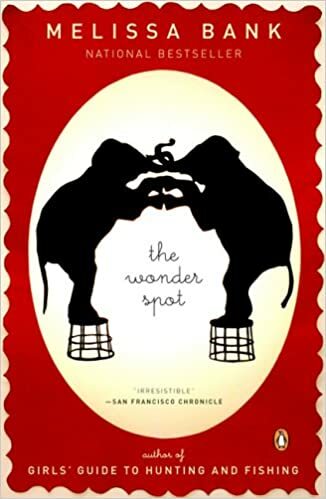 I can’t believe I’ve never written about The Wonder Spot by Melissa Bank, one of my all-time faves! I usually re-read it once a year, when I go to my parents’ place for Christmas. It’s definitely one of those books for me that I can pick up at any time – never-fail comfort food. One thing I noticed re-reading this, this time around, was the theme of female friendships. I can’t believe I’d never really noticed that before, how there’s three chapters (out of eight) that are focused mainly on Sophie’s relationship with a girlfriend rather than a man. I also found the parallel between Sophie and her older brother really interesting – the way they could never quite settle on a career (or person) that they love and are committed to, but how they both ultimately ended up being okay with that. It’s the open possibility of the “night in shining armor” that she finally embraces at the end. Man, I love this book. Almost thirteen years since it came out, though… I wonder if she’s working on another one?